We all make mistakes. But when it comes to your travel rewards credit cards, those errors can be expensive. Travel rewards credit cards afford consumers opportunities like earning points and miles they can put toward awards on airlines and at hotels, getting them access to swanky airport lounges and even offer time- and money-saving benefits like Global Entry or TSA PreCheck application reimbursement. When you look at the cards in your wallet, and how much you pay to keep them there in some cases, it becomes clear just how important it is to maximize their benefits. Unfortunately, it’s not always possible to do so. It can be tough to keep track of which cards have which benefits, let alone maximizing your spending habits so that you earn bonuses, and taking advantages of your card’s perks and protections to suit your travel needs. A little time and research go a long way, though. Knowing exactly what your cards offer can keep you from making these common and costly mistakes. It seems basic, but one of the biggest mistakes you can possibly make with a travel rewards card is not earning the welcome bonus. Many of us are wowed by bonuses worth tens or even hundreds of thousands of points, but that only justifies signing up for a card when you actually earn them. There are a couple reasons you might not hit the mark. Make sure you don’t lose out on a sign-up bonus by not hitting the spending requirements. Photo by Ridofranz via Getty Images. The first is that welcome bonuses typically require you to spend a certain amount of money on your card within a certain time frame, like $1,000 within three months, or $5,000 within six months. If you apply for a card (or several cards at once) and the minimum-spending threshold is too high for you to hit (responsibly! ), you risk not earning the bonus. That said, a welcome bonus is not worth being reckless with your credit and finances, so do yourself a favor and be sure you can achieve the spending requirement before applying. The second is miscalculating the timing in which you must hit that spending requirement. With a welcome bonus, the spending clock starts when you are approved, not when you receive your card. So you could find yourself with several fewer days, or even weeks, to get all those purchases in. If in doubt, call your card issuer and ask what the deadline is. Hand in hand with mistake #1 is not signing up for a good bonus. Like just about everything in life, welcome bonuses come and go, and rise and fall. The Platinum Card from American Express offers a variety of welcome bonuses. Make sure you’re getting the best one. For example, via the CardMatch Tool, the Platinum Card® from American Express is currently offering some consumers a 100,000-point bonus when they spend $5,000 in three months (this offer is subject to change at anytime). Compare that to the current public offer for the card, which is just 60,000 points for the same amount of spending. 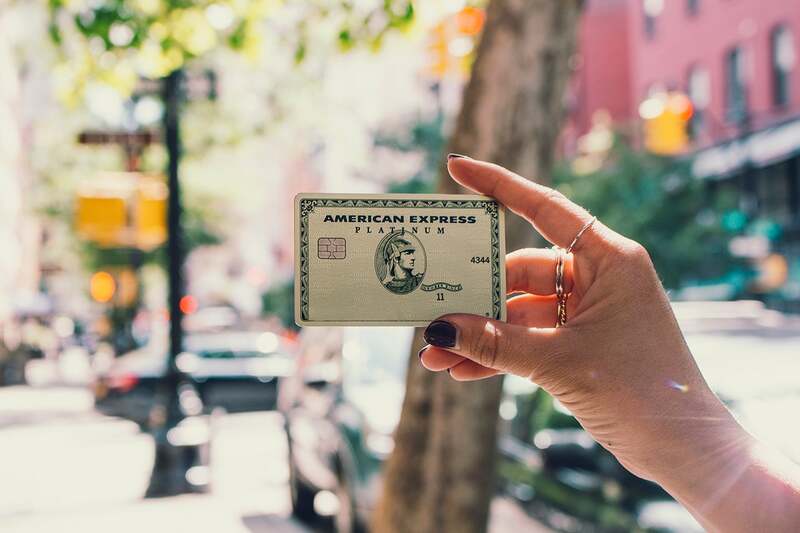 Likewise, Hilton and Amex first debuted its new line of co-branded cards in January, then raised the bonuses on all three in May for a limited time. Folks who applied earlier missed out on 25,000 points. So do your homework and look at the bonuses offered historically on cards in which you might be interested before applying to make sure you’re getting the best deal. As I mentioned above, applying for too many cards in a short period of time can mean you miss hitting the minimum spending requirements for welcome bonuses. In the case of Chase, however, it can also exclude you from being eligible for some of the issuer’s best credit cards. That’s because of Chase’s so-called 5/24 rule. Put simply, Chase will automatically deny new applications for certain credit cards in its stable if you have opened more than five new credit card accounts, with any issuer, in the preceding 24-month period. While not every Chase card is subject to this rule, major players like the Chase Sapphire Reserve, Ink Business Preferred Credit Card, Southwest Rapid Rewards Premier Credit Card and United Explorer Card are. If you need to check how many accounts you’ve opened recently, you can create a free account with Experian or Credit Karma and track the age of your various accounts. We post points valuations on TPG every month to give you a rough idea of how much value you should be getting from specific types of points and miles at any given time based on a mix of factors including award availability, transfer options and more. Unfortunately, far too many consumers seem to take the easier route and redeem their hard-earned points at below-average values for things like merchandise and even poor cash-back propositions. If you do so, don’t blame yourself too much, though. Credit cards, airlines and hotels tend to make it easy to cash in your points for low-value items or redemptions for a reason: it’s cheaper for them. Forget low-value redemptions like gift cards. Photo by Richard Levine/Corbis via Getty Images. But remember, even if you’re interested in earning cash-back points at a fixed rate, not all points are created equal, nor are all redemptions. For instance, the Barclaycard Arrival Plus World Elite Mastercard lets you redeem your Arrival miles at a rate of 1 cent apiece for travel purchases, but just half a cent each for merchandise redemptions. Research your options and make sure you find a program that allows you to maximize the value you get from points you redeem, either by allowing you to redeem them for things you actually need at a decent rate, or to earn bonus points on the categories in which you spend the most money (more on that below). Speaking of points valuations, even the most valuable points — ones that you can transfer to hotels or airlines for otherwise high-priced rewards — are not likely to be worth anywhere near the interest rate you’ll be paying on balances that you carry. And that’s to say nothing of the impact carrying a big balance will have on your credit score. So before you use a points-earning card with a high interest rate to make big purchases that you might not be able to pay off quickly, consider instead using a card with a low (or no) APR instead. Though they are hard to predict and offered only for limited times, transfer bonuses can be phenomenal opportunities to stretch your points even further. Don’t miss out on the chance to maximize your points with transfer bonuses.For example, Citi ThankYou Rewards recently offered a 30% transfer bonus to Flying Blue, which meant phenomenal redemption opportunities like just 40,770 ThankYou points to fly from New York (JFK) to Frankfurt (FRA) in lie-flat business class on Air France, KLM or Delta…instead of 53,000. Waiting for transfer bonuses before redeeming your points for specific awards can result in tremendous savings if you time it right. At this point, there’s simply no reason your points or miles should expire. While most airline and hotel loyalty programs do still enforce expiration policies, many are lax enough that you need to earn just a single point or mile every 18-36 months, including miles you earn with credit-card spending. However, the less obvious instance where you might lose a whole haul of points or miles, or their ability to transfer to travel partners, is if you downgrade or close a particular account and do not transfer the points first. First, let’s say you downgrade from a Chase Sapphire Preferred Card to a Chase Freedom Unlimited. With the Sapphire Preferred, your points would transfer to the Ultimate Rewards program’s 13 travel partners, including British Airways, Southwest, United, Hyatt, Marriott and IHG Rewards. With just the Freedom Unlimited, those points are only good for fixed-value redemptions of 2 cent apiece. In another case brought up by a reader, if you have a card that earns transferable Citi ThankYou Rewards points, like the Citi Prestige or Citi Premier Card, but close that account, your points will expire after 60 days if you do not transfer them. Be sure you are familiar with the rules about what happens to your points before making any major decisions on your points-earning card accounts. One of the best benefits any travel rewards credit card can offer is the ability to earn multiple points or miles per dollar in various spending categories. Those can include airfares or hotel purchases with a co-branded card like the Gold Delta SkyMiles® Credit Card from American Express, or Chase’s new World of Hyatt Credit Card. But many credit cards also offer earning bonuses on broader categories such as on travel, dining, entertainment, groceries and gas. Make sure you maximize purchases at bonus category merchants like restaurants. Photo by Ali Inay on Unsplash. Unfortunately, many folks don’t end up maximizing these categories. That’s no wonder since, if you have multiple cards, it can be hard to keep track of which card will earn you the most points at which merchant. s.
With the variety of credit cards out there and the bonus earning opportunities they afford, you should be earning multiple points per dollar on nearly every purchase. Not doing so is basically leaving points, and thus huge potential value, on the table. Many of the top cards have annual fees that hover around the $95 mark, such as the Chase Sapphire Preferred, Capital One Venture Rewards Credit Card, United Explorer Card, Marriott Rewards Premier Plus Credit Card, among many others. Utilizing perks like free checked bags, automatic hotel elite credit or a free anniversary night makes it easy to compensate for a $95 annual fee…if you use them. Likewise, there are some fantastic premium travel rewards cards charging higher annual fees that can be well worth it. But only if you maximize their benefits. For instance, cards that charge $450 a year, like the Chase Sapphire Reserve, the Citi Prestige and the Ritz-Carlton Rewards Credit Card, or $550 (See Rates & Fees) like The Platinum Card® from American Express, all offer a range of value-added benefits that can help offset their annual fees. All four offer Global Entry or TSA PreCheck application fee reimbursements worth up to $100. All four also offer annual travel credits for various purchases worth between $200-$300 per year and get cardholders into a variety of Priority Pass lounges. But if you’re not actually using these benefits, it’s not worth paying that high annual fee. Make sure you’re using perks like lounge access to justify a high annual fee. The same is true of airline credit cards that offer lounge access with their specific airline, like the Delta Reserve® Credit Card from American Express, the Citi / AAdvantage Executive World Elite Mastercard and the United MileagePlus Club Card. Each charges a $450 annual fee and will get you into Delta Sky Clubs, American Admirals Clubs and United Clubs, respectively. That’s a discount over purchasing outright club membership, but still not worth much if you’re not actually using those clubs. Speaking of annual fees, many consumers seem to forget that you can often negotiate an annual fee when it comes due. According to a poll in this CreditCards.com story, only one in four cardholders ever contacts their card issuer to request a lower annual fee or a higher credit limit. Of those who did, however, 82% reported that their annual fee had been waived or reduced. As we always say at TPG, it never hurts to ask. It never hurts to call and ask if your bank will lower or waive the annual fee. Photo via Getty Images. However, be reasonable — if your credit card fee is $450 and you’re not spending a ton on it each year, it’s unlikely the issuer will waive the fee altogether. Instead, they might offer you a slight reduction or possibly some bonus points. See what they come back with and make your decision from there. Many travel rewards credit cards offer not only cardmember anniversary perks, like free nights at hotels, or a companion travel ticket, but also the opportunity to earn additional benefits by hitting certain spending thresholds each year. Among other hotel credit cards, the World of Hyatt Credit Card confers a free night each anniversary at a Category 1-4 property and an additional Category 1-4 free night for hitting $15,000 in spend in the cardmember year. The Hilton Honors American Express Ascend Card earns a free weekend night after you spend $15,000 on it in a calendar year. You may be missing out on free nights by not hitting spending threshold bonuses. Some airline cards, including the Delta Reserve, Platinum Delta SkyMiles® Credit Card from American Express, AAdvantage Aviator Silver World Elite Mastercard and Citi / AAdvantage Executive World Elite Mastercard, offer the chance to earn elite-qualifying miles by hitting (rather high) spending thresholds that could be just the boost you need to get to the next level of elite status. Perhaps most famously, the British Airways Visa Signature Card offers a “Travel Together” companion ticket when you spend $30,000 in a calendar year. It doesn’t make sense to spend money on things you wouldn’t otherwise purchase in order to hit these thresholds. But if they are within your budget for normal expenditures anyway, you should maximize the added bonuses your credit card might offer for doing so. Many issuers have caught on to the fact that people who want travel rewards credit cards actually, you know, travel. That includes internationally. While issuers once charged 2-3% transaction fees on purchases made abroad, many credit cards now waive these fees. Not all, though. Notable exceptions include the Chase Freedom Unlimited (3%) and the Citi ThankYou Preferred Card (3%). Before you go abroad, or even make a purchase from a foreign company while still in the US, read your card’s benefits and terms to see whether you might be dinged with extra fees. Rewards credit cards can be powerful tools to help you maximize your travel strategy, but only if you can leverage benefits like category, transfer and spending bonuses, fee waivers, lounge access and more. Be sure you are getting enough value from your travel credit cards to justify their annual fees, and that you know the terms and conditions of each so you are not hit with fees and other penalties that might erase the value of any points you earn. By doing so, you can reach your travel goals faster and get that much more value from your credit cards.